Construction began almost a year ago on the Queens Triborough Bridge Playground C (located between Hoyt Ave North and Hoyt Ave South). This involved reconstruction of the basketball court and construction of a new dog run for small and large dogs. 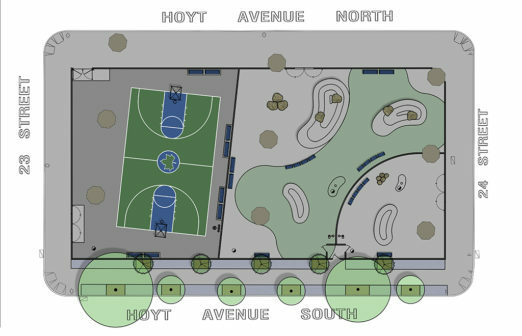 The dog run area will include “new concrete pavement, concrete climbing mounds and boulders, spray hydrant features for dogs, benches, drinking fountains with dog bowls, and fencing.” Though the Parks Department wouldn’t give us an exact opening date, they said the project is moving along on-target and will open in late April. Credit to NYC Gov Parks. 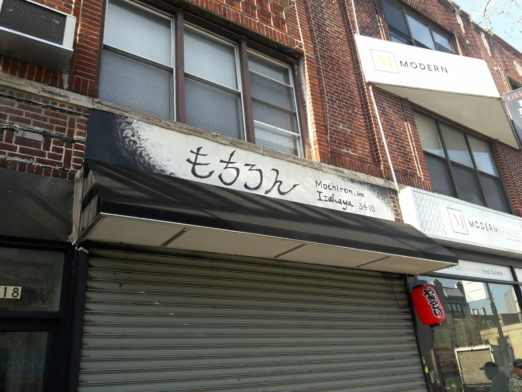 This coveted noodle chain will now be much closer with their new location on Jackson Ave in LIC. 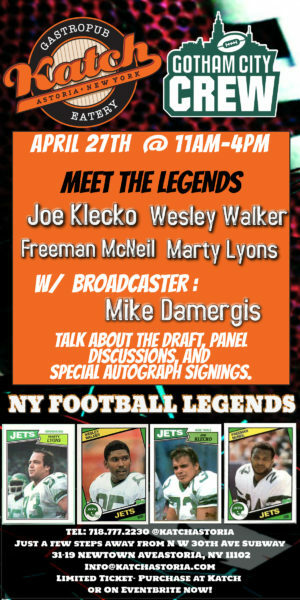 Their grand opening will be this Saturday, March 30 from 11 a.m. to 3 p.m. If you follow and repost them on social media (Instagram, Twitter, or Facebook) you are entitled to one free dish (no purchase necessary, one per person, while supplies last). 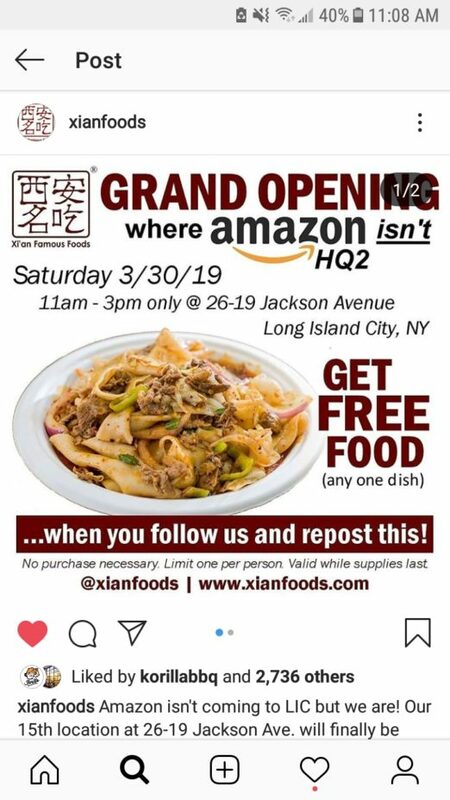 They are also having a soft opening today, starting at 11 a.m.
More noodles! Culinary Noodle Kitchen officially opened March 4 and replaced Brother Crepe on 30th Ave. The space serves fusion noodles, and “was born among a cooperative of friends, from diverse cultures, that desired to create noodle recipes from every corner of the earth,” according to their Facebook page. 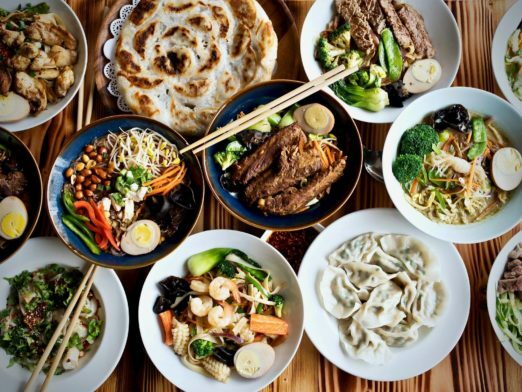 They serve a variety of noodles from wheat to rice to sweet potato to gluten and carb free options, in wide, slim, flat, round and ribbon shapes, along with homemade dumplings. Lunch Specials includes noodle bowls for $9.99 and dumplings for $6.99. Credit to Culinary Noodle Kitchen. This new Izakaya (Japanese gastropub) apparently opened about two weeks ago, in the space of European Quality Cleaners, which closed last year. Yelp! reviews cite it as having tasty food but taking a long time to be served, so it might need a little more time to iron out its work systems. It’s also dubbed as being more “fusion” since it has Korean food items on the menu as well. Check out food pics on their Instagram here. As many readers pointed out, Steinway seems to be full of shuttering businesses recently. You can add Petland Discounts and Ricky’s to Victoria’s Secret now, and we’ll be doing some more investigating into why this block is having such bad luck with preserving stores. 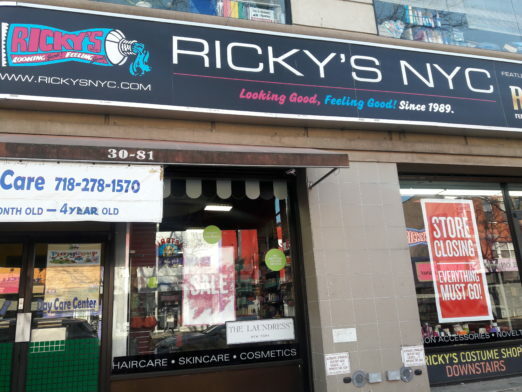 Petland Discounts appears to have already closed up shop–and are closing all of their locations after the owner’s death–and Ricky’s will be closing April 14. 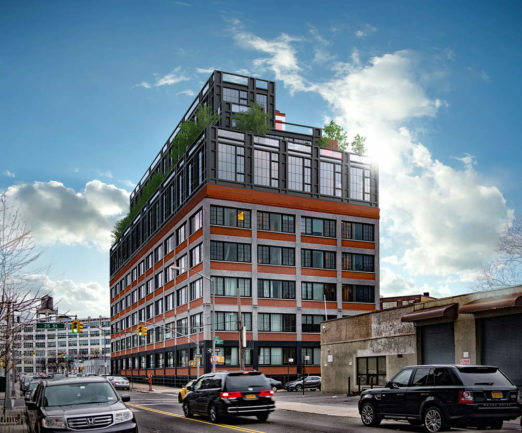 QNS.com reported that The Paper Factory Hotel in Long Island City is being converted into a “short stay communal living” space. It was apparently acquired by The Collective, a British co-living company that “wants to build a world that’s more alive, more together and more collaborative.” Since it’s “short stay” communal living, we’re scratching our heads a bit about how different that is from a hotel, but I guess we’ll find out! You may have seen Local Kitchen or even stopped in to eat this month, but when we called to get the scoop they let us know they’ll actually be closed for an additional three weeks to make some additions. It will open again mid-April. It looks like a good spot for quick dinners or lunches to go–offering a pasta bar, salad bar, and soups and sandwiches. 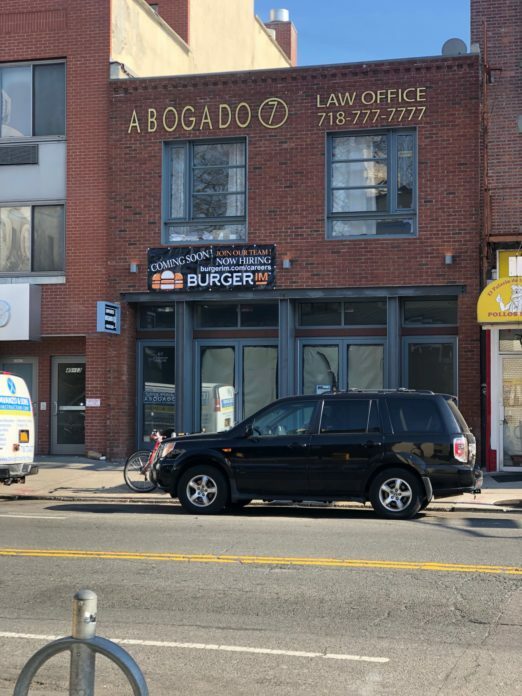 The old Queens Kickshaw space looks like it’s being taken over by BurgerIM, a “fast casual” gourmet burger chain. Apparently the burgers are basically sliders–3 oz–that you can customize with a variety of buns, signature sauces and flavorful toppings, and order in a box of one to 16. They will also offer takeout and delivery. The menu can be seen here, and they also have four locations in Brooklyn. We’ve reached out to try and secure an opening date. Readers noticed this sign go up in the window of the old Sandwich Bar location. They don’t seem to have any social media or contact info up yet, but looks like it has potential! We’ve been eyeing this stylish space for a little while now, but have no idea what it’s going to be. Looks like a cute, trendy cafe or something? Let us know if you have any clues! We haven’t been able to get in touch with the owner as of yet but hopefully will soon. If there was anything from your comments we didn’t include, it’s probably because we’re still waiting to hear back from the businesses! Which openings/updates/rumors are you most excited about? Have you checked any out? Lokanta is terrific and worth a visit. It’s a wonderful addition to a growing roster of delicious restaurants on Broadway. Oh also on 41st St and 30th Ave in the old Warique Restaurant space, signage has gone up for what looks like a new Mexican (?) restaurant called Mojo Santa or something like that… any ideas WHA staff? There’s also something new on South side of Broadway, between 31st and 30th. They’re still working but looks like maybe a coffee shop? Cool starbursts on the back wall, but no name yet. Stopped by the cute café/bistro looking place on Broadway yesterday and chatted with someone getting the place ready. She said it’s going to be a Turkish restaurant opening next week! Yes, thank you! We actually just put up a post – we were able to talk to the owner! Anyone have an update on QWNS Cafe?? They’ve been “temporarily closed” for a while now! 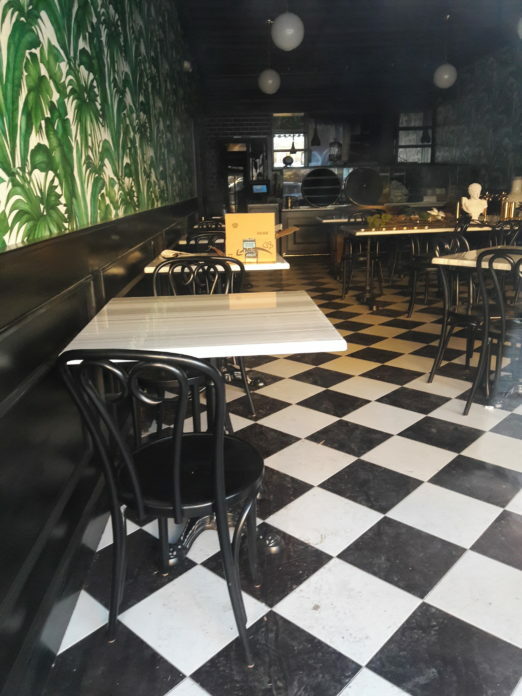 Maybe the cute and trendy mystery cafe will be another bagel shop! LOL sorry for the snark. I haven’t tried the Izakaya yet but I’m super excited to check it out – was waiting for the initial kinks to be ironed out. 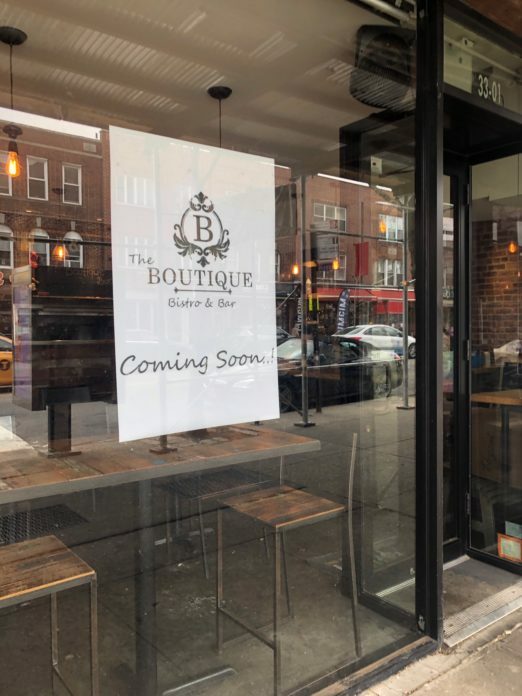 I wish a French bistro would open in central Astoria – we haven’t had a good one since Bistro Le Minot closed (Cafe Triskell is a trek and a very small menu). 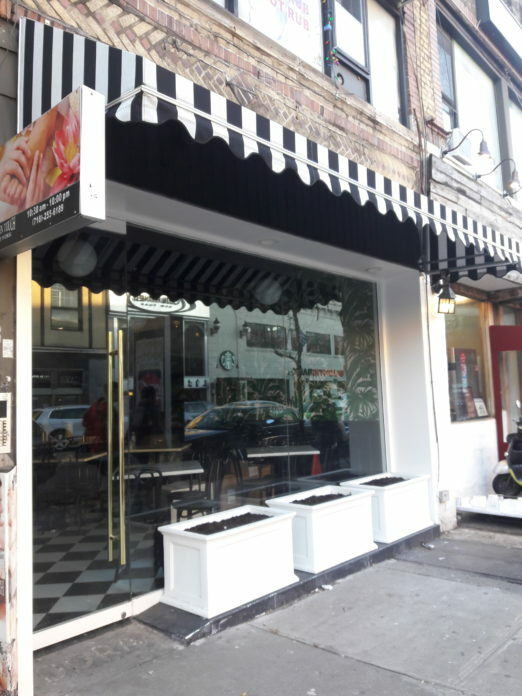 Also looks like a soup dumpling place will be opening on Broadway near Crescent Street. Next to Los Portales in the old sushi restaurant. Bundo Broadway I think? That sounds amazing! Will have to get more deets.